Agriculture in Nigeria is indubitably a rich source of income. Fish farming remains an important facet of agriculture in Nigeria. You can choose to venture into a small-scale fish farming business or a large scale fish farming business, all depending on the capital capability and knowledge on fish farming. Although, fish farming holds great potential for the creation of massive wealth, it is still pertinent to note that a colossal number of people has ventured into the business with bad results at the end of it all. The fragility of the lives of fish should be considered when venturing into the fish farming business. 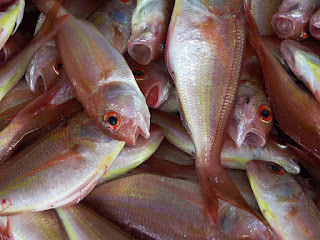 Fishes may be susceptible to factors unrecognized by fish farmers. This may lead to the death of the fishes or poor growth. This is a major challenge faced by many fish farmers. We cannot talk about business without the mention of capital. Capital remains the bedrock of the size of a business. The fish farming business has proved to be capital intensive. A simple fish farm may cost you a lot of money to start up. I am talking about NGN100, 000 and above. Complex or large-scale fish farm business may cost close to a million or above a million. There are so many other challenges one would go through in the fish farm business. But through a proper draw out business plan, as well as effective implementation of that drawn-out business plan, you would be making it big. A business plan is an abstract blueprint that provides a general view of the intended technique of operation for your fish farming business. The importance of a business plan cannot be derided. When building an effective business plan for your fish farming business, you would need to consider the cost in terms of the start-up capital, as well as the operational cost. Normally, a small-scale fish farm business can cost you as high as NGN100, 000 and above, while a large-scale fish farming business can cost you as high as a million naira and above. The capital you intend to invest with should be measured in terms of your level of experience and capability. Investing in a large-scale fish farm with little or low capabilities would lead to large scale loss. Having known the capital you tend to invest with, you should consider how many plots of land you would rent. For a start, a plot or even half plot of land will be enough to set things up. The construction of ponds requires the service of a pond construction engineer. You can also go to another fish farm to get specification and construction requirements. Water is extremely or crucially important to the well being of the fishes. Therefore, there shouldn’t be a shortage of water at your fish farm. It is pertinent to be aware that the water is meant to be regularly exchanged to ensure a clean environment for the fishes. Natural source of water such as boreholes and river is very healthy for the fishes. However, rainwater and tap water from the chemically treated source is not recommended for fish cultivation. You can install an aboveground tank that would be collected to your pond. This will facilitate the easy flow of water into the pond, therefore ensuring a friendly and clean environment to your fishes. After you must have evaluated your capital expenses and all other requirements needed for the smooth operation of your fish farming business, the next big step to take is to purchase some juvenile fishes from other fish farms who specializes in selling fishes. One of the most popular fishes you can buy includes catfish, salmon, and tilapia. Before buying your juvenile fishes from a particular fish farm, it will be wise of you to make a proper investigation about that fish farm, in order not to buy sick fishes. Empowering yourself with the right amount of knowledge is a necessity if you wish to succeed in your fish farming business. Like I said, there are so many challenges faced with fish farming. By equipping yourself with the right amount of knowledge, overcoming any challenges you faced in fish farming would be very easy. Reading and studying articles and books found online and offline is not enough to provide all that knowledge you need to be successful in your fish farming business, although reading materials help a lot. What you need is a direct practical experience from an already successful fish farm business. With the proper amount of knowledge, capital and tenacity, you can build your own successful fish farm. So what are you waiting for? Start up something now! No Response yet for "How to Start Fish Farming In Nigeria| business plan analysis"